Create a base of crumbly chocolate dough or chocolate sablé. 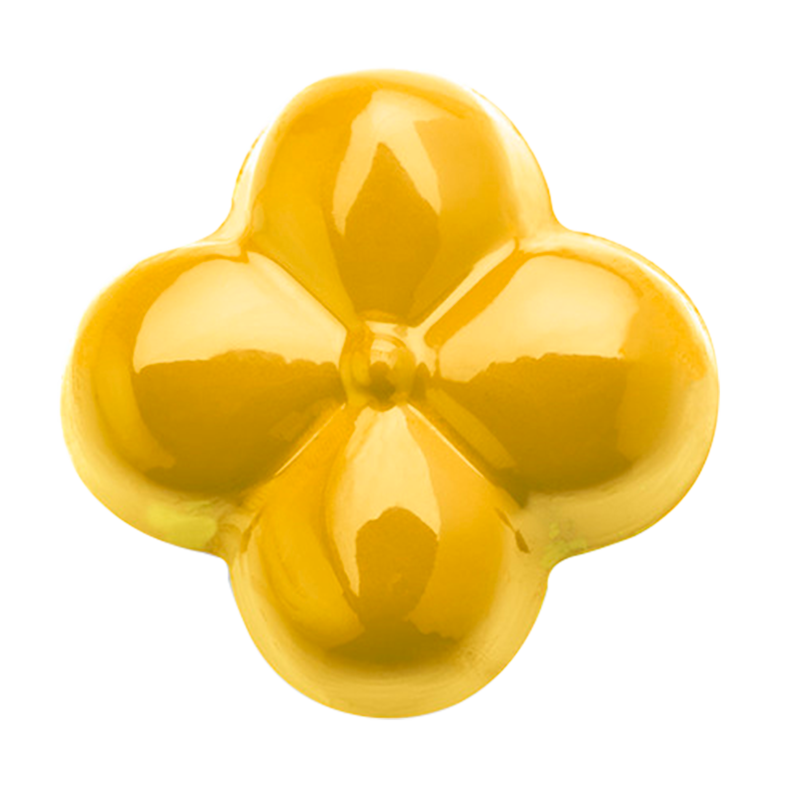 Mix tempered white chocolate with Power Flowers™ (use the yellow and blue to create green color). Spread a thin layer of the chocolate onto a plastic sheet. When half set, cut out little shapes and a cocorrugated base (for the cups) dip a few White Chocolate X-Large Pencils in the same green colored chocolate. 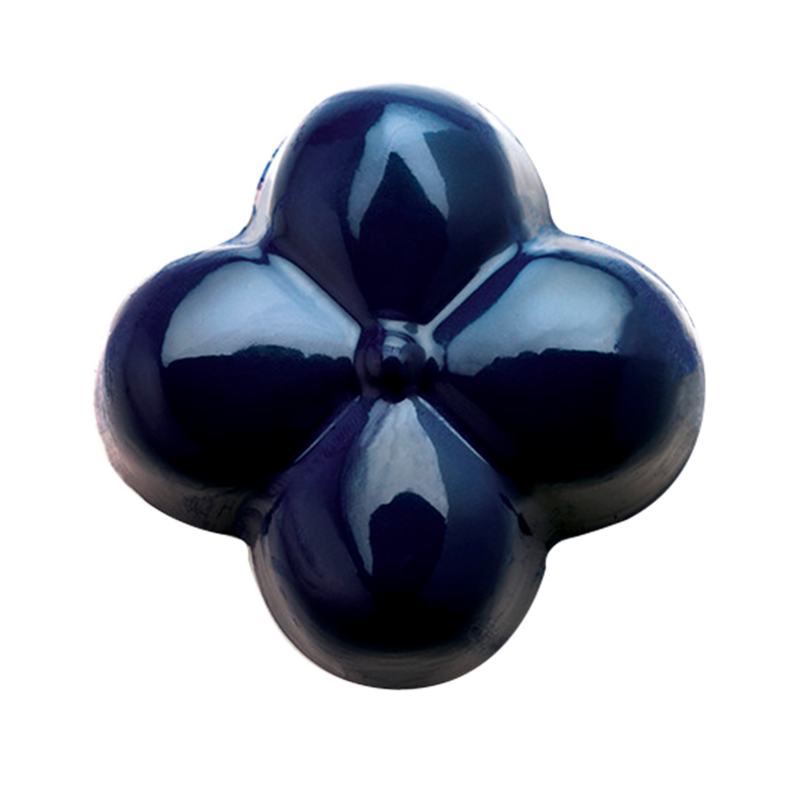 Assemble all the elements to form the stems of the flowers and stick them in the chocolate dough. 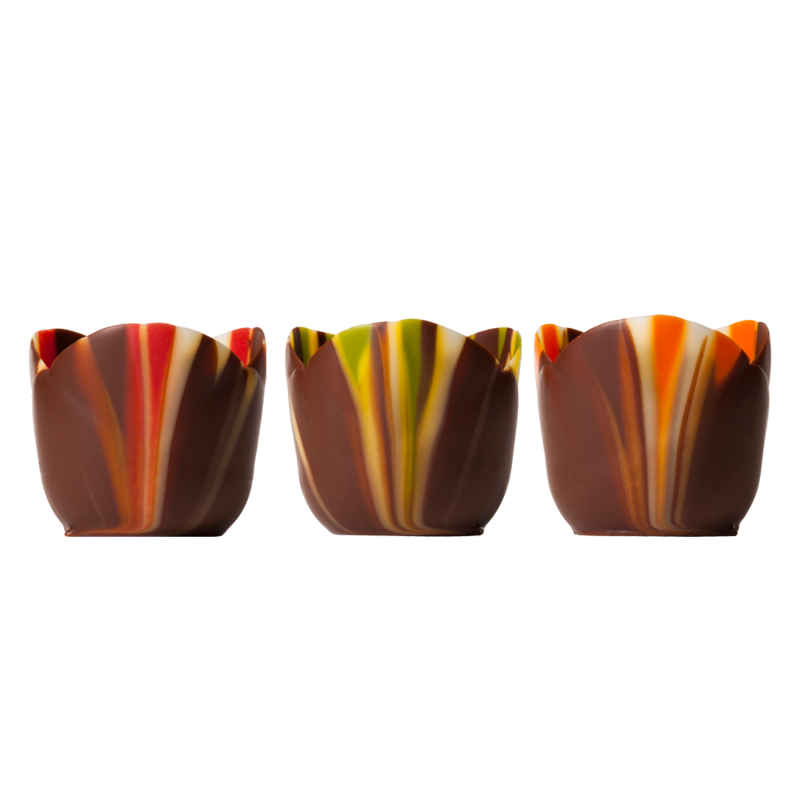 Then fix Pastel Marbled Petits Fours Cups to the stem base and fill them with any filling or colorful panned chocolate dragée.